I received the following email from the manager at the Oakland Road Hy-Vee in Cedar Rapids. 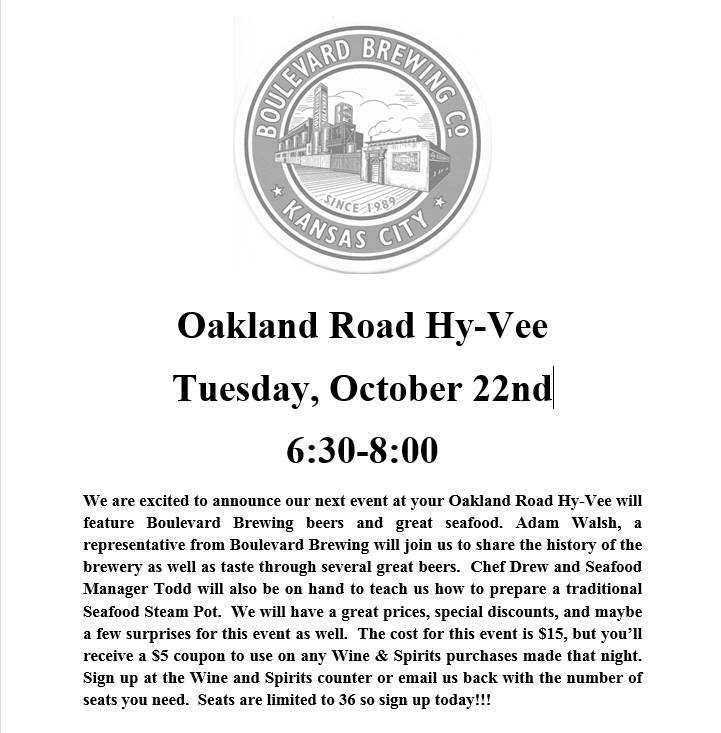 $15 gets you a ticket and a $5 gift card to the Hy-Vee Wine and Spirits. Sounds like a great time so if you are in the Cedar Rapids area check it out!